Scientists are still fascinated by Phineas Gage. Here’s why. 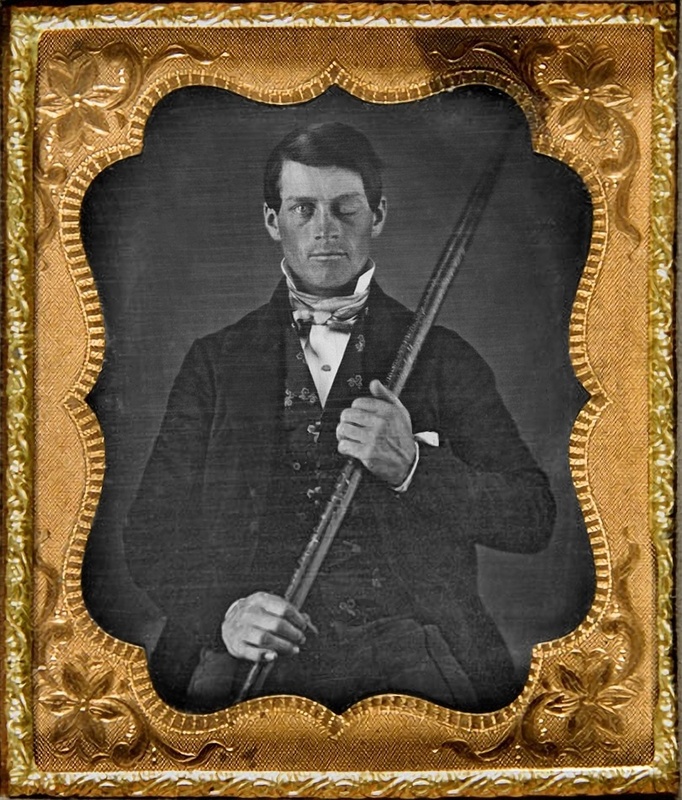 Phineas Gage is considered to be Patient Zero for traumatic brain injury. The story of Gage at the time was that his damaged brain rendered him a different, monstrous person. This wasn’t true. Recent studies demonstrate that an injured brain can see an increase in connection in areas associated with touch and learning. Phineas Gage was a railroad foreman in the 19th century. In 1848, while blasting through rock as part of the construction of the Rutland Railroad line in Vermont, Gage set an explosive — setting explosives in those days included using a tamping iron to pack the material into the rock — and then turned away, his attention temporarily diverted by his men. The explosion went off and the tamping iron drove itself through his jaw, behind his left eye, and out through the top of his skull. He survived. And though that description made Gage’s case famous, it perhaps did a disservice to how Gage actually responded, which arguably made the particulars of Gage’s case all the more interesting. This was not a child. This was not a man of ‘animal passions.’ This was not a profane man. This was someone who had the presence of mind to make a wry and quiet joke. This repeated returning to the material happened — and has continued to happen — because there have been a few hundred words written about how Phineas Gage changed after the accident. The insight from this study certainly offers up more concrete grounding as to why Gage could survive an accident like the one he did — and how he was able to continue on and work in South America in the years that followed. But that doesn’t mean that the insights from 2016 are the only insights that can be found. There are still several unknowns in neuroscience that researchers tackle and uncover every day, like using light to turn certain neurons in the brain on or off, a study looking at the connection between certain cells in a mouse’s brain with anxiety, and uncovering the flexibility of neurons in the visual cortex processing stimuli — of being able to process the forest and the trees. That level of detail is a world beyond thinking that a different brain means a different personality — and, as time progresses, more research will surely illuminate more details, giving us a more nuanced view of Phineas Gage. Scientists are still fascinated by Phineas Gage. Here’s why. Posted on January 11, 2019 By Bud	Learn Posted in Learn Tagged #Scientists are still fascinated by Phineas Gage. Here's why.